Soul. Rock and Roll. Modern Swing. Pop. Dance. Americana... Lost Dog Found can be (and has been) described with a lot of musical adjectives. Combining those genres into their own distinctive modern sound is where Lost Dog Found has set itself apart. The band has set out to become their own genre, and their live performances have become one of the sweatiest, electric, crowd interactive parties you'll ever attend, widely regarded as being one of the best live acts and dance bands coming out of the San Francisco Bay Area (and we tour up and down the west coast regularly). Lost Dog Found has performed hundereds of shows, corporate events (including Google, SAP Systems, and MTV), at venues near and far (like Downtown Disney, Chase Palm Park, Viva Las Vegas Rockabilly Weekender), dozens of city concerts (Santa Barbara, San Mateo, Santa Rosa), and is contracted for private functions much of the year. 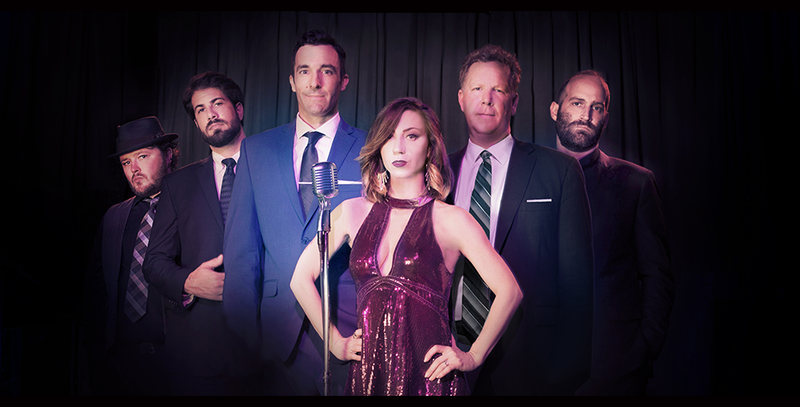 With an arsenal of cover material and their own danceable original work, Lost Dog Found knows its in the memory making business, and has mastered the craft of providing the highest caliber of entertainment to a wide swath of age ranges and people. 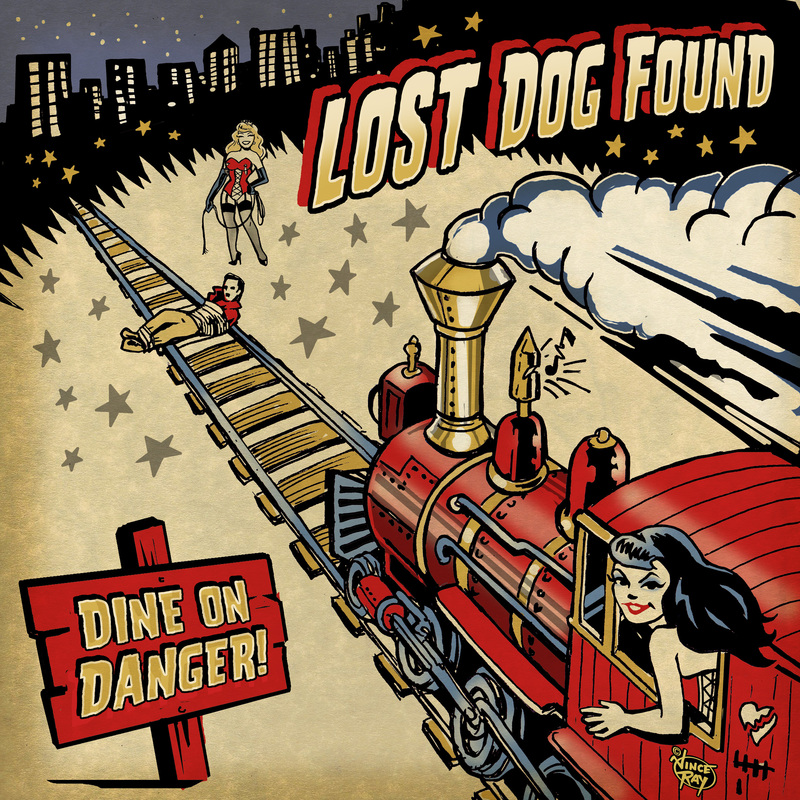 "LOST DOG FOUND’S ‘DINE ON DANGER’ IS A MASTERPIECE. I’M FAIRLY CERTAIN THIS IS THE FIRST REVIEW OF AN INDEPENDENT ARTIST WHERE I’VE FELT COMPELLED TO USE THAT ADJECTIVE." 2016 The Bohemian - Reader Voted "Best Jazz Band"
The Blues Mobile (formerly House of Blues Radio) - "The Big Stomper" & "These Times Are Tough"
"Lost Dog Found's 'Dine On Danger' is Pure Gold"
THEIR SOUND IS UNPRETENTIOUS AND ENJOYABLE. WITH THIS ALBUM, LOST DOG FOUND HAS CREATED A COLLECTION OF TUNES THAT WILL HAVE GIRLS EVERYWHERE INSISTING THEIR PARTNERS LEARN TO DANCE." “BELOW THAT FUN SURFACE THERE’S INCREDIBLY TIGHT BAND MEMBER COOPERATION AND TEAMWORK. THIS IS A BIG BOLD BAND THAT RUMBLES LIKE A FREIGHT TRAIN HAULING A HEAVY BLUES LOAD DOWN THE LINE." "SWING REVIVALS MAY COME AND GO, BUT WHILE THERE ARE BANDS OUT THERE AS GOOD AS LOST DOG FOUND, IT'S A GENRE THAT WILL CONTINUE TO LIVE, BREATHE, AND THRIVE." - LEICASTER BANGS - ALBUM REVIEW OF "THE JUMP START SCANDAL"
"IT WILL BE A RARE PERSON WHO'S ABLE TO SIT STILL DURING A PERFORMANCE OF THE ROCKABILLY/SWING SOUND OF LOST DOG FOUND"
"Lost Dog Found not only have a timeless sound but they also have the personalities, look, and professionalism that exceeds your highest expectations. We had them play at a 50’s themed summer picnic and a 1920’s Gatsby themed winter party with overwhelming praise from our employees and guests. I now find myself wanting to identify other themes that would afford us the ability to bring them back again and again. We are all big fans of their music."